Raja Ampat is a prominent tourism object in West Papua. Being the most exotic archipelago, Raja Ampat is chosen as a must-visit tourist resort in Indonesia in addition to Bali. Since visiting Raja Ampat might cost an arm and a leg, meticulous plans have to be made. Keep reading to find out what you must know before flying to Raja Ampat. 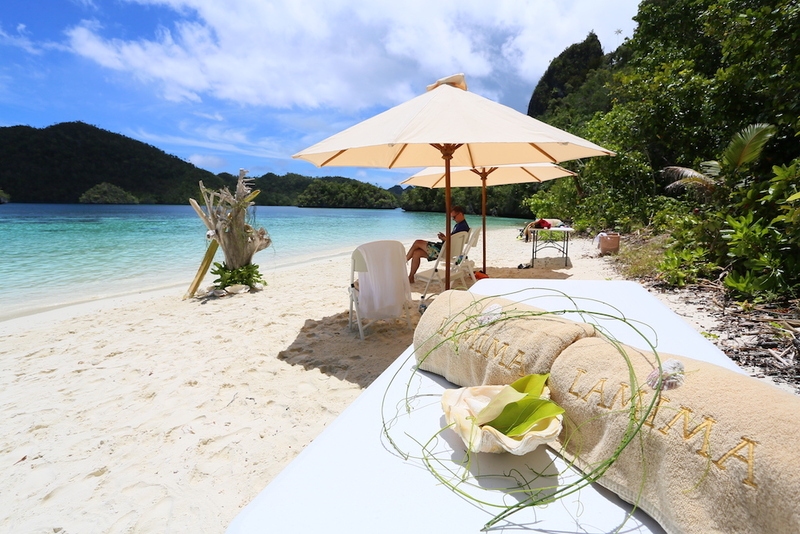 How much does it cost to have a trip to Raja Ampat? 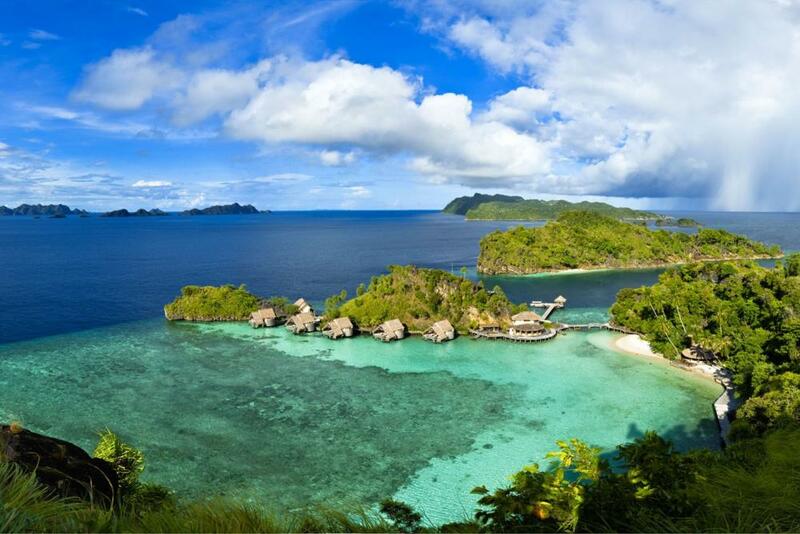 Raja Ampat is located in the northwest of the Bird’s Head Peninsula which is on the island of New Guinea. It used to be a part of Sorong Regency. Then, in 2004, Raja Ampat was officially separated from Sorong and became Raja Ampat Regency. Raja Ampat, meaning Four Kings, is an archipelago consisting of four main islands namely Misool, Salawati, Batanta, and Waigeo, and a smaller island of Kofiau. Those main islands are surrounded by more than 1,500 small islands, shoals, and cays. 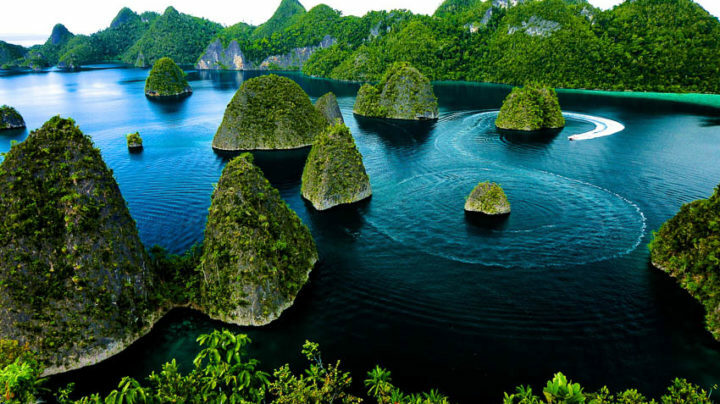 According to the local mythology, the name of Raja Ampat was derived from a woman who discovered 7 eggs. Four of the eggs hatched and turned into four kings who ruled Waigeo, Salawati, East Misool, and West Misool. Other two eggs hatched and turned into a ghost and a young lady, while the other didn’t hatch and became a stone. Another history told that Raja Ampat came from Tidore Kingdom, a prosperous kingdom whose capital is located in Maluku. In the fifteenth century, The King of Tidore ordered four local kings to rule Waigeo, Batanta, Salawati, and Misool which are the biggest islands in Raja Ampat. Then, those kings are called Raja Ampat meaning Four Kings. Raja Ampat is well known for its high marine diversity. There are more than 1.300 fish species, 537 coral species, and 699 mollusk species. The coral reefs of Raja Ampat provide exquisite view beneath the ocean and make tourists wish to explore Raja Ampat. The marine diversity in Raja Ampat is considered as an archipelago with the richest biodiversity in the world according to International Conservation. The high marine diversity found in Raja Ampat is highly influenced by its beneficial position between two Oceans (Pacific and Indian Oceans) and two continents (Asia and Australia). Being in the middle of two oceans and continents, Raja Ampat gets the rich marine diversity from the amalgamation of the ecosystems and species originated from Asia and Australia. 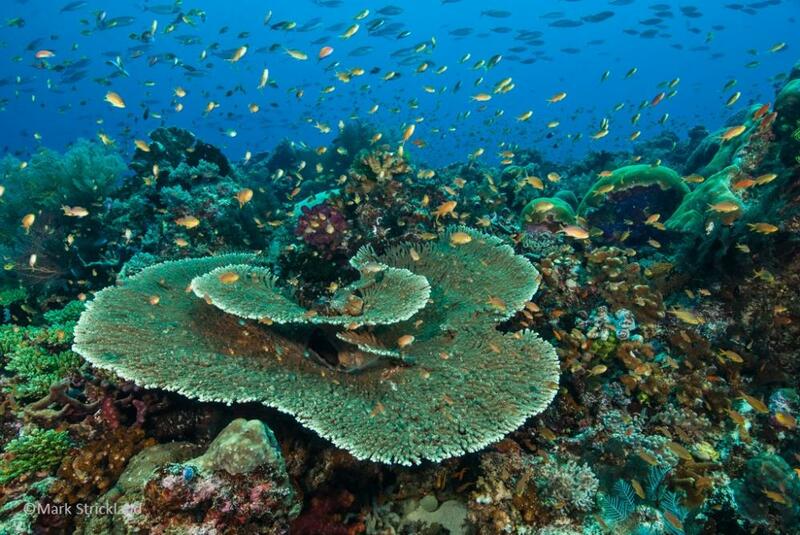 It seems that the high marine diversity of Raja Ampat is what tourists, especially divers, aim for. Many people visit Raja Ampat because they want to enjoy the beautiful scenery under the sea when they are diving. Once you explore the sea through diving, you will be amazed by the exquisite coral reefs and fish which will be accompanying you swimming. If you are not a good swimmer, no need to be upset because you can still blow off steam by renting a boat to explore Raja Ampat above the ocean. You will witness the vivid color of the coral reefs beneath the sea that will be indelibly imprinted on your mind. Not only will you enjoy diving and snorkeling, but you will also enjoy the extraordinary scenery from Pianemo Raja Ampat. You can see many beautiful and spectacular coral reefs and some small islands spread out on the stunning blue and turquoise sea. This is the most spectacular landscape that is too good to miss. 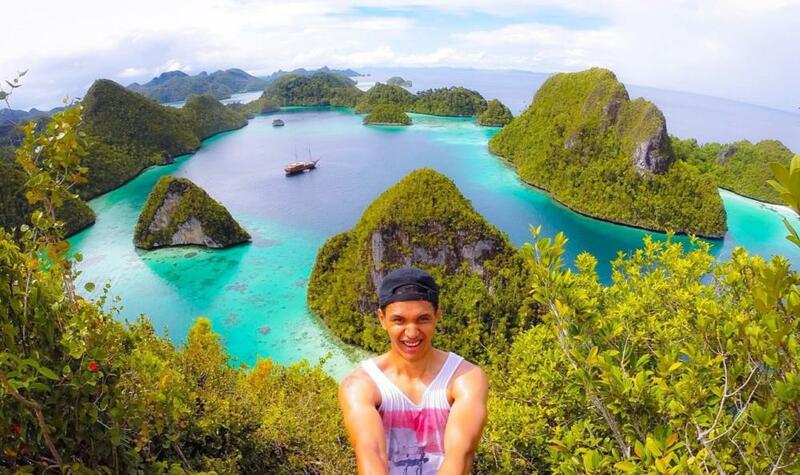 It is a perfect selfie and spot in Raja Ampat. There are many choices available for tourists who want to visit Raja Ampat. Most visitors prefer to fly to Sorong, the nearest city and gateway to Raja Ampat. 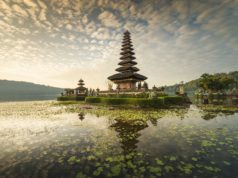 You can fly from either Jakarta, Surabaya, Yogyakarta, or Bali. But if you fly from Surabaya or Yogyakarta, you will have to drop by Makassar for a little while. 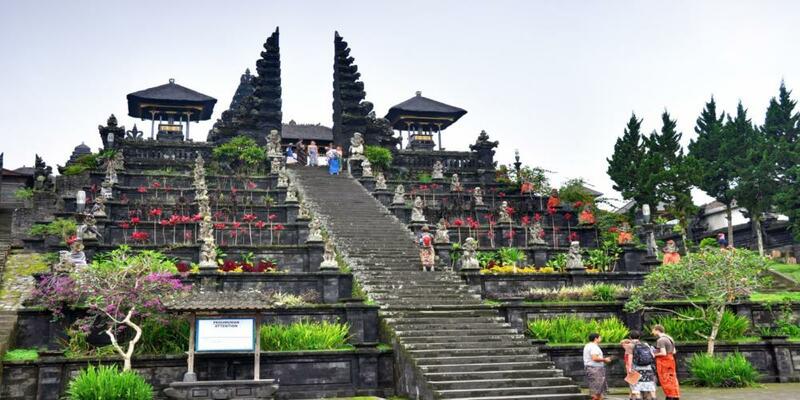 If you depart from Singapore, you can take a flight to Manado. Then, you can take a domestic flight from Manado to Sorong. If you fly from Kuala Lumpur, Malaysia, you can take a flight to Makassar. After that, take a domestic flight to Sorong. I suggest you take Air Asia because it will not burn a whole in your pocket. When you arrive at Sorong, take a taxi a and ask the taxi driver to bring you to Sorong ferry harbor. Then, you can go to Waisai, a town in Raja Ampat. Or, you can fly from Sorong to Waisai. You will find many rented cars in Waisai. You can have one of them drive you to a homestay or directly to Raja Ampat. 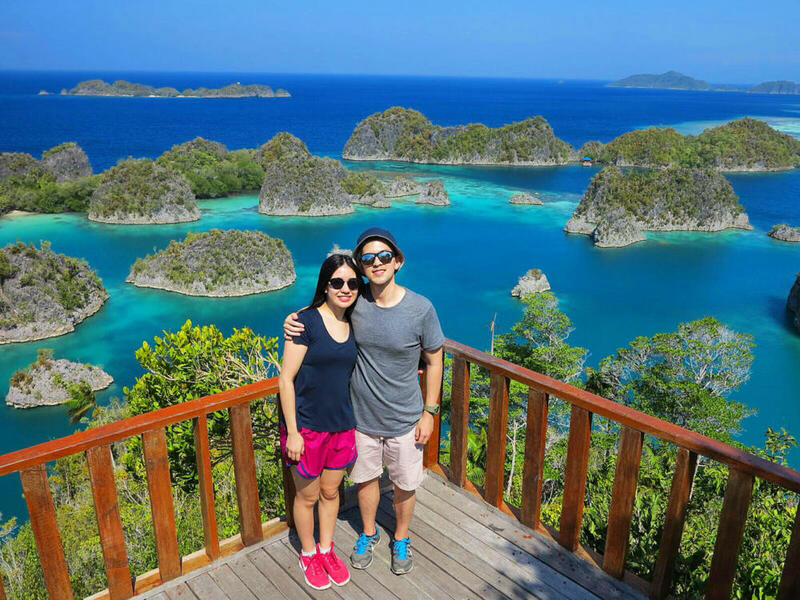 Traveling to Raja Ampat for 7 to 10 days will set you back around IDR 20 mio or IDR 30 mio. It is about USD 2000 or USD 3000. IDR 30 mio might sound too way exorbitant. By spending IDR 30 mio, you will be able to enjoy the exquisite landscape of Waigeo island, dive and snorkel in Waiwo, witness the stunning Cenderawasih in Sawingrai, and visit one of the most spectacular spot in Raja Ampat, Pianemo Islands. 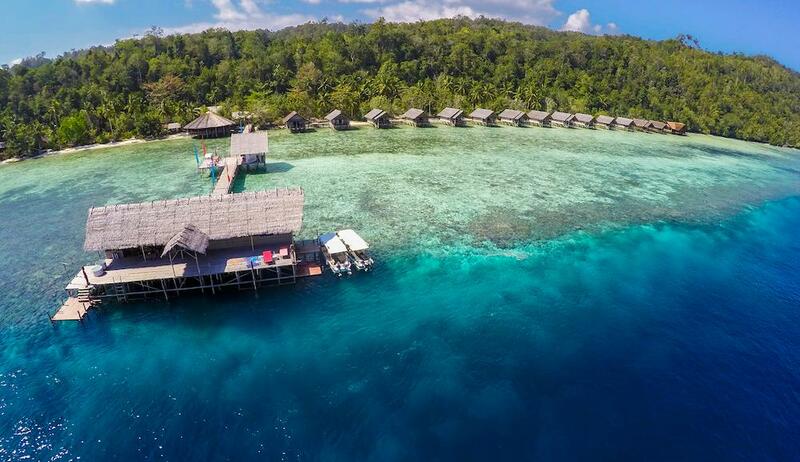 But you need to spend more money if you wish to visit Wayag, the most prominent spot in Raja Ampat, and Missol, the most incredible spot for diving. Are you fond of snorkeling? 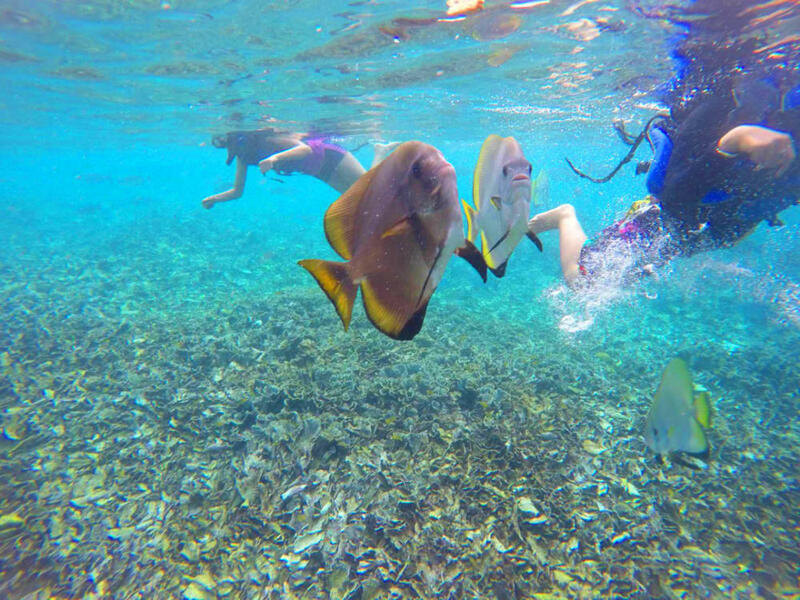 Do you want to experience an unforgettable snorkeling in Raja Ampat? You need to spend IDR 5 mio to IDR 7 mio to rent a boat and snorkeling goods. It is about USD 500 to USD 700. But if you want yo have a nest egg, you can have a crack at traveling in a backpacker’s style. When you arrive at Sorong and want to continue your journey to Raja Ampat, you’d better take a ferry because it’s cheaper than flying to Raja Ampat. Going to Raja Ampat by ferry will set you back IDR 130,000 or USD 13. It takes two hours to go to Waisai, the capital of Raja Ampat. But, it’s cheaper. When you arrive at Raja Ampat, you will be demanded to pay IDR 500,000 if you are a local tourist and IDR 1 mio if you are international tourists as the fee of environment maintenance. 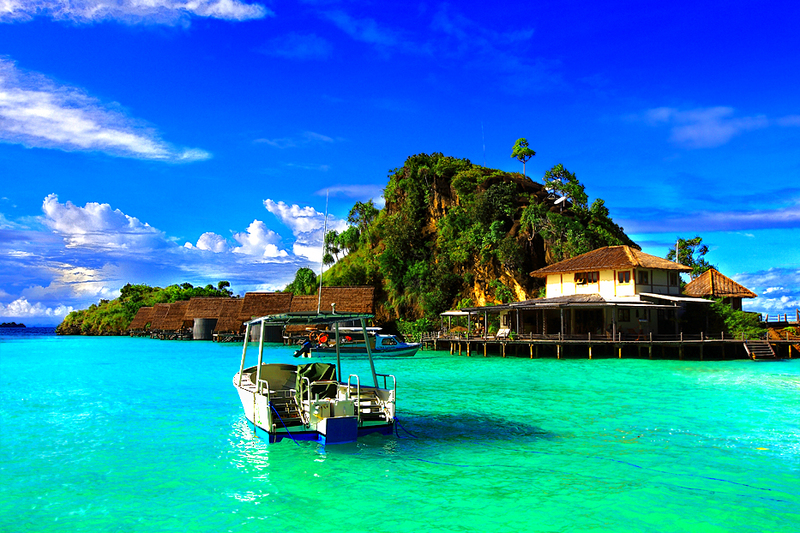 There are many hotels and homestays in Raja Ampat. You can choose any hotels that suit your budget well. If you have difficulty in picking the most suitable hotel for you, you can hire a reputable travel agent that you can find easily on play store such as travelloka, pegipegi.com, Mr. Aladdin, or Airy Room. Transportation is the most expensive thing in Raja Ampat because it is impossible for you to explore Raja Ampat on foot. There are 1,864 islands in Raja Ampat, so you will need to rent a motor boat and it costs IDR 13 mio to commute from Waisai to Wayag. It is costly, isn’t it? The good news is that a boat can accommodate up to 12 passengers. You’d better share some space with your friends in the same boat so that you do not need to pay that much. Traveling to Raja Ampat does cost an arm and a leg. But it deserves that exorbitant price as you will get a priceless experience witnessing a stunning natural phenomenon. 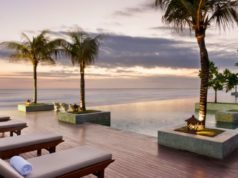 You will forget the stressful days you might experience at work because they have been outweighed by the breathtaking view of the blue and turquoise ocean and also the colorful color reefs and fish.